You might wonder why someone would Pray for Stretch Marks. 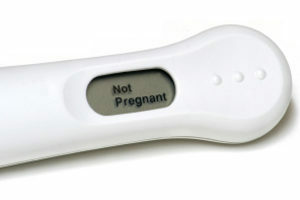 While some women have no difficulty getting pregnant, one in 8 women in their 30’s struggle with infertility! I am one of those women. I struggled for years with infertility and watched someone else I love and look up to struggle as well. Her story is not mine to tell but I will say it “ended” with 2 beautiful children though adoption. I do not believe I am wrong in saying that she now knows “why” everything happened the way it did because I know her children mean the world to her. With that said I also know that so many people have their own story/journey and every persons is different! I can only tell you mine! It wasn’t an easy road. After rounds and rounds of doctors visits, needles, tests, unpredictable hormones, a million opinions from strangers, friends, and family, and countless negative pregnancy tests I was blessed with the greatest gift! 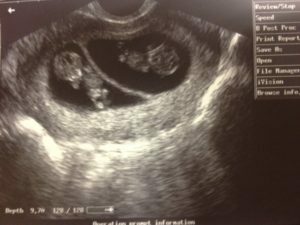 After struggling for years and a total of 9 rounds of fertility treatment I did get pregnant with fraternal boy/girl twins. Prior to getting pregnant I had a less than strong bond with my faith and thought everything was up to me. I truly believed I could control everything and I carried that burden with me from an early age which lead me down some dark and isolated roads. I battled with depression and anxiety. I battled with body image. I struggled with yo-yo diets and quick fixes to “get skinnier”. I spent so much of my time caring what others thought about me and taking their opinions and making them my reality. If they said it, it must be true! The reason I tell you this is to paint a picture of my personality! I wouldn’t have ever picture myself as a “strong” or “confident” person. 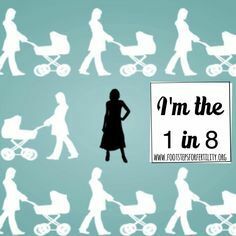 I can proudly call myself that person now and I owe it all to my journey with infertility and finding my faith in God. I remember listening to all my friends who were moms or who were soon-to-be moms complaining about stretch marks. It would drive me crazy! I would say “at least you can get pregnant”. I would Pray to God one day I would have stretch marks. I remember literally saying “Please God, please give me stretch marks. I promise I will not complain about them”. I remember listening to my friends complain about feeling sick and uncomfortable and I would pray “please let me be uncomfortable and sick” I promise I won’t complain. Month after month and year after year I was skinny, comfortable, not sick, and holding a negative pregnancy test in my hand. Then, when I finally got pregnant I remember hoping I wouldn’t get stretch marks and that I wouldn’t feel sick. How quickly I forgot. At 9 weeks I thought I was losing the twins as I had a lot of blood present and just heard of a friends miscarriage which sounded like what I was experiencing with cramps and pain and just like that I was praying again for the nausea to come back and for God to just answer this one more prayer. Luckily, I did not lose the twins that day and they continued to grow. It was from that moment on I decided I no longer cared about what I had to do or go through. I embraced it all. Of course I wasn’t able to keep my promise not to complain about it but I no longer found myself praying for anything besides 2 healthy babies. I managed to make it pretty far into my pregnancy before the stretch marks came but when they did come they came all at once and spread like a roadmap of the United states right there on my belly! I thought to myself “ok, I will just wear one piece bathing suits” and I guess I wont worry about trying to keep my belly button ring hole from closing because nobody will ever see it anyway. Initially, I struggled to lose the weight. After all, I was working 30 hours/week, not sleeping, and taking care of 2 infants. I felt like I was lost though. My depression was sneaking back in and I vividly remember one day telling my husband they would be better off without me and that “this must be why God didn’t want me to have kids, because I was a horrible mom”. Enter post-partum depression. 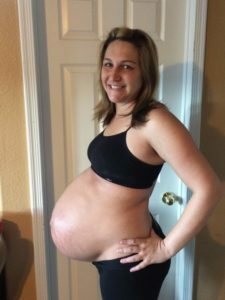 My husband was amazing and helps me through though hurdles of PPD that I didn’t even know I had. Like I said, I did suffer from some forms of depression prior so I didn’t seek help from anyone else at this time. I started working on myself though. Trying to only control what I could control and trying to find a new “normal”. I knew I would feel better if I could just fit into my clothes. I didn’t care about “looking great” I just didn’t want to have to buy all new clothes. 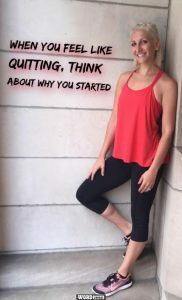 I focused on just losing the weight and had no idea of what was going to come after. After losing the weight (almost 60#) with some help from an online accountability group I learned so much about the importance of feeling better and focusing on that rather than how I looked. 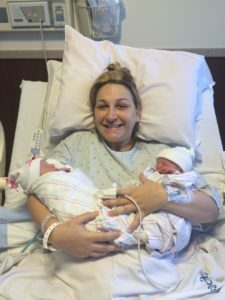 I was suddenly surrounded by other women going through the same thing as me. Virtual like-minded friends. The result? 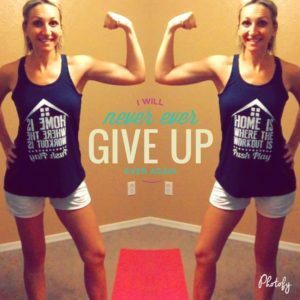 I lost all the weight plus 10 pounds and became a coach to other women going the similar situations and have now kept it off for over a year! 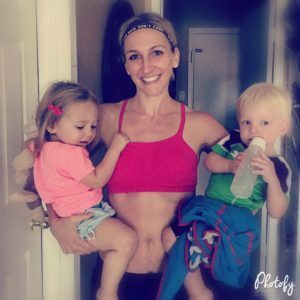 I continue to battle through diastis recti and a messed up tailbone and pelvis from a fall down my stairs at 30 weeks pregnant. I wear a 2 piece bathing suit and wear it proud with stretch marks and all because it’s MY STORY. It’s my reminder of the most incredible gift in this world. In going through this journey I have found a stronger faith than I ever have before. I have found my purpose and my calling to help other women get to this point in their lives. I can finally call myself a strong and confident person! Twins are no joke. Being a mom to twins is the hardest job I have ever had and will ever have. I truly believe God knew I needed to be a stronger person. I needed to grow and he had to develop that character within me. He had to guide me through this journey until he felt I was ready and strong enough to be the type of mother these babies needed. They needed to have a strong and confident mother. The power to overcome obstacles is within us and going through these moments and these struggles is what will give us the characteristics and the strength we need to face our futures! To paraphrase the Pastor at church, Our greatest failures come after our greatest successes. I always thought it was the other way around. I have always heard that our greats success comes after our greatest failure… I think they are both correct and that it is more of a cycle. Once we get to the top and reach a goal we are starting over to reach for another goal. We have to be prepared to go through tough times and pain to continue to grow and learn. In order to grow and reach our goals we have to be comfortable being uncomfortable. Please feel free to reach out to me via email or social media to hear more about my story and my journey. 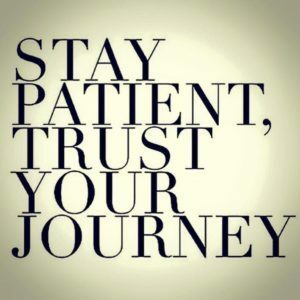 I would be happy to share and possibly help you through your journey! Beachbody is a great program. They have great tools to help you reach your personal goals. Sign up with a Beachbody Free Membership account and select me as your coach. Get involved with our Free Private Membership Facebook Group. 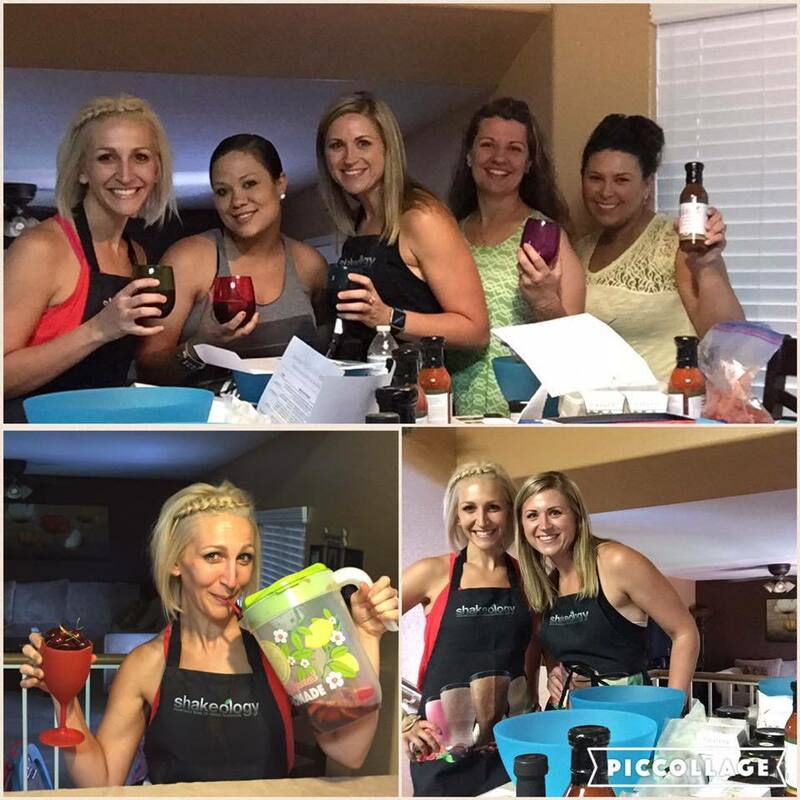 Create Free Beachbody Account and Get Me as your FREE Coach!